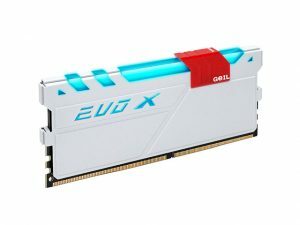 GeIL launched its flagship EVO-X series of high-performance DDR4 memory modules with RGB LED lighting, which was first unveiled at CES 2017, earlier this year. 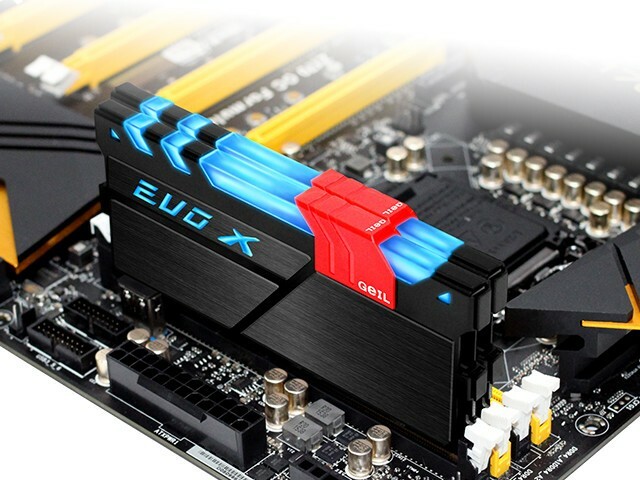 The modules feature a diffused RGB LED lighting that takes input from most RGB LED standards over 4-pin headers, which is compatible with ASUS Aura Sync, ASRock Aura RGB, MSI Mystic Light Sync, and GIGABYTE RGB Fusion. The modules feature two inputs, one on either side. 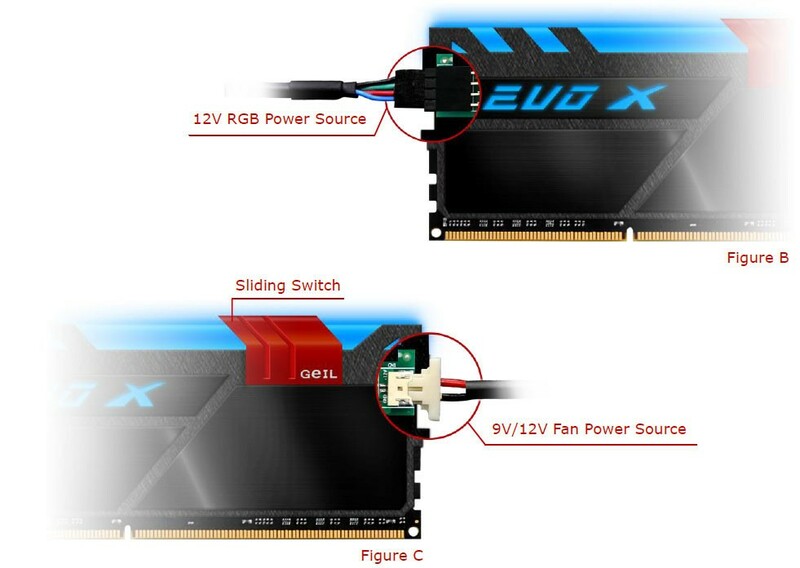 One plugs into a 4-pin RGB LED header, and the other draws additional power from a 9V/12V power source, such as a fan header. 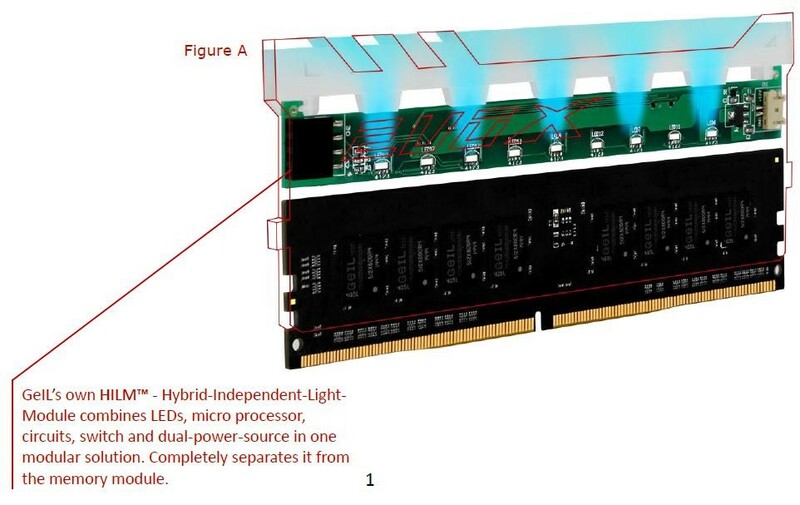 Internally, the LED lighting are placed on a separate PCB from the original DRAM module, so there’s no scope for electrical interference between LEDs and memory module. 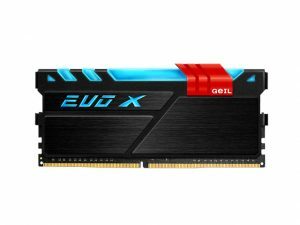 The GeIL EVO-X Series DDR4 modules available in 4 GB, 8 GB, and 16 GB densities, and in a wide range of speeds and timing combinations, including DDR4-2133, DDR4-2400, DDR4-3000, DDR4-3466, DDR4-4000, and DDR4-4133. For color, EVO-X Series DDR4 come with two heat spreader color options – glossy white and matte black. The company didn’t reveal pricing.